Mason Andrew Kilpatrick joined Charlotte Street Foundation in August of 2017 as Marketing and Communications Manager. Mason provides a fresh perspective to CSF, with a background in public media and digital marketing. Mason’s job responsibilities include managing and implementing all communications tactics including Charlotte Street’s website, blogs, e– newsletters, social media, printed materials, and media relations. His position will oversee documentation and publication, maintaining an archive of Charlotte Street events and corresponding image and editorial/story content. The Marketing & Communications Manager will help identify opportunities for strategic promotional partnerships and unique or one-time marketing opportunities. Charlotte Street Foundation can’t wait to see how Mason develops innovative ways to tell the stories of artists in Kansas City and expand their audiences and exposure. His expertise will be used to support a growing effort to increase visibility for contemporary art and artists in Kansas City, and the work of the Charlotte Street Foundation. 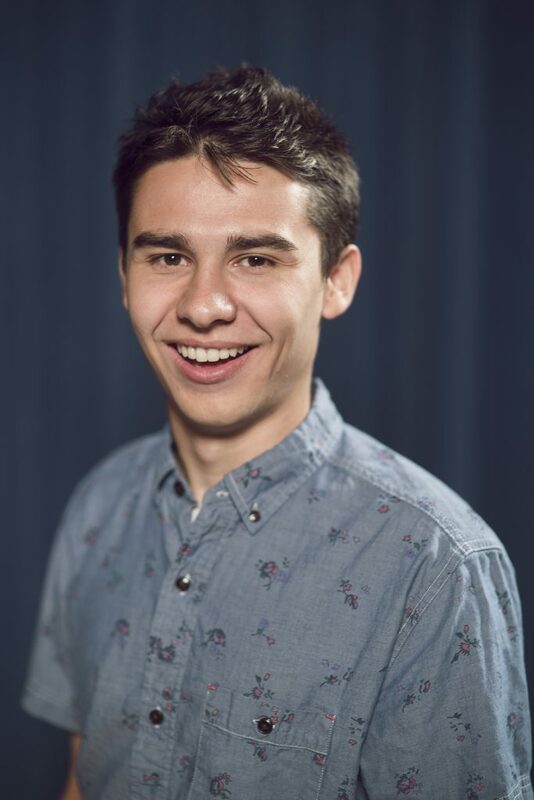 Before joining Charlotte Street, Mason graduated from the University of Kansas in the spring of 2017 with two Bachelor’s degrees in Film and Media Studies and Communication Studies. He was the 2016-2017 Station Manager at KJHK 90.7 FM, KU’s student-run radio station in Lawrence, KS. He was also a host and producer for several KJHK programs, including radio shows like Plow the Fields, Alternative Flashback, and the live music YouTube series, Live @ KJHK. Throughout 2014 and 2016, Mason was part of the digital team at KCPT (Kansas City PBS) and produced video content for all of their television and online outlets. He previously curated social media and campus event coverage for the Kansas Memorial Union at KU. In 2015, he also spent time in Cupertino, CA, working closely with iTunes and Apple Music as a Label and Artist Relations Intern with Apple Inc.
Mason currently lives in Lawrence, KS. His favorite moon phase is the Waning Gibbous and he enjoys going to the movies alone. Mason also has a deep appreciation for the color teal.